Of the nineteen players who had achieved an unblemished 2/2 after the first two rounds at the Isle of Man Masters, only six managed to keep their perfect score after round three. 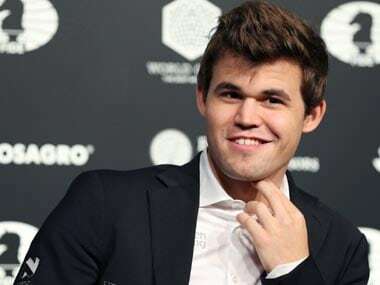 The pack is currently led by French number one, Maxime Vachier-Lagrave, who is followed by Wang Hao, Arkadij Naiditsch, Jeffery Xiong, Erwin L'ami and Pavel Tregubov. 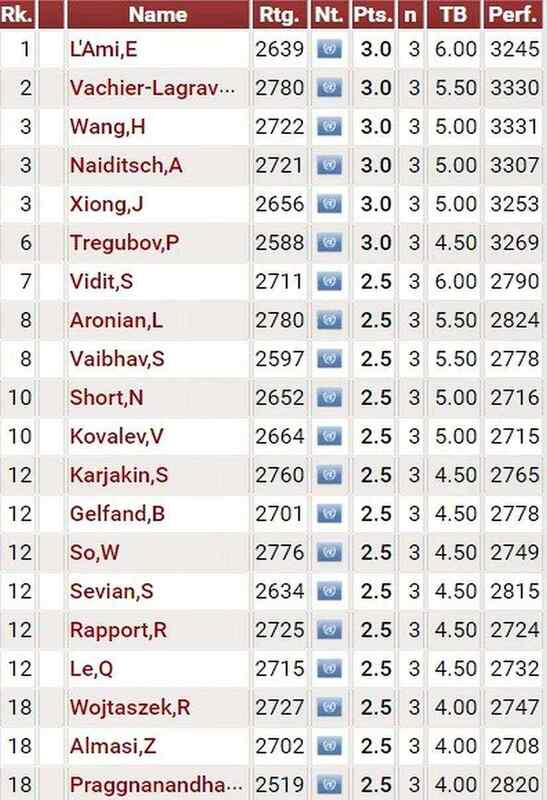 India's wunderkind, GM R Praggnanandhaa scored the biggest upset of the day by taking down GM Pavel Eljanov of Ukraine. Rated 2703, Eljanov is not only about 200 points higher rated than Praggnanandhaa, but he is also one of the former winners of the event. The game hadn't begun very promisingly for Praggnanandhaa. Eljanov had opened with the Richter-Rauzer variation of the Sicilian with the black pieces and had a comfortable position out of the opening. Praggnanandhaa's attempt to create play on the kingside was aptly countered by Eljanov with a pawn break in the centre. By the 26th move, the Ukrainian grandmaster was a pawn ahead and had complete control over the position. But just when it seemed Praggnanandhaa was in a bit of trouble, he found a way to complicate the position. Taking a page off Vidit Gujrathi's book, Praggnanandhaa essayed an ingenious queen sacrifice that led to an unclear position. After the haze had cleared, Praggananandhaa had emerged an exchange ahead in the material count. Eljanov had just one pawn to compensate for this but his connected passed pawns on the kingside looked particularly threatening. In the final phase of the game, Praggnanandha rushed to create a passed pawn of his own to generate sufficient counterplay in order to stymie Black's kingside passers. Once this was accomplished, converting the game was only a matter of technique. 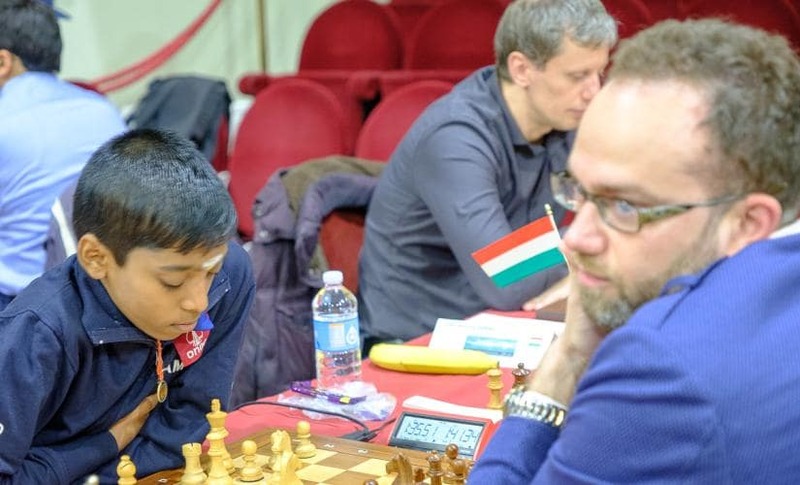 GM Abhijeet Gupta's also scored a half upset on the sixth board holding the former world championship challenger, GM Boris Gelfand to a draw. Gupta had the white pieces in a Semi Slav Defence wherein he came up with a new idea in the line that entailed a pawn sacrifice on his 17th turn. With this draw, both Gupta and Gelfand slipped down to the second spot on the leaderboard where they remain tied with 18 others. 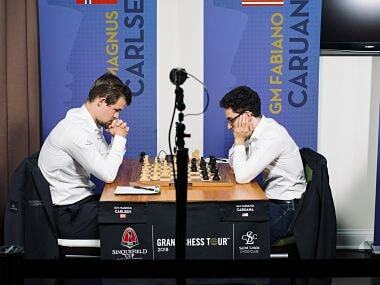 Viswanathan Anand's game against Svane Rasmus wasn't much different either. Anand also had the black pieces and just decided to call it a day after 24 moves. While a draw, per se, isn't a bad result, it is just the length of the games that is a little concerning. The tournament observes a 30 move no draw offer rule but, apparently, a move repetition is an easy excuse around it. Indian players in the joint second place include Vidit Gujrathi, Vaibhav Suri, Adhiban Baskaran and R Praggnanandhaa. Viswanathan Anand is one spot further down the leaderboard with a score of 2.0/3.